Bánh xèo is a guilty pleasure and one of my favorite Vietnamese food. It literally means sizzling pancake, and a friend tells me that the word “xèo” mimics the sound you hear when the rice batter is poured into the hot skillet. With limited number of days in a city, there are only so many meals you can have, so I wanted to eat only the best Bahn Xeo I could find. 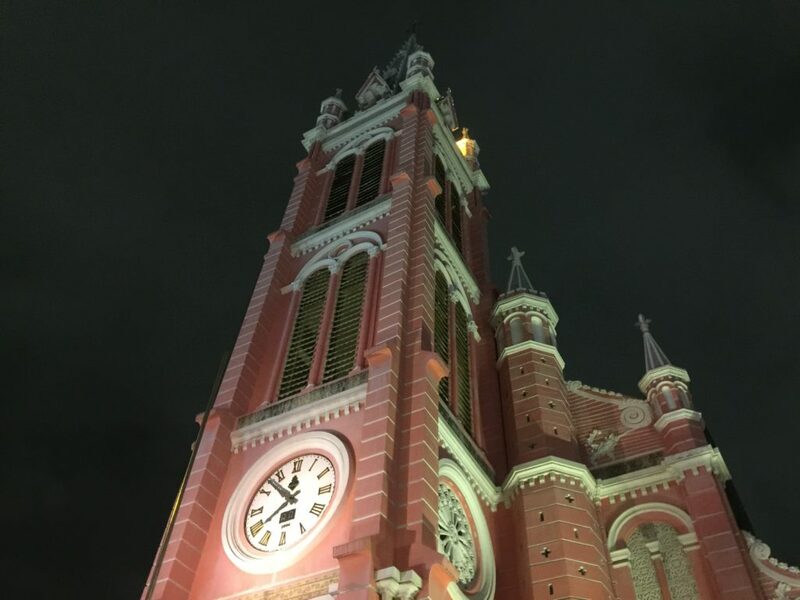 Just a short walk from Tân Định Church, the famous pink church in Ho Chi Minh, is probably one of the most famous Banh Xeo store in the city. Short walk from the famous pink church. 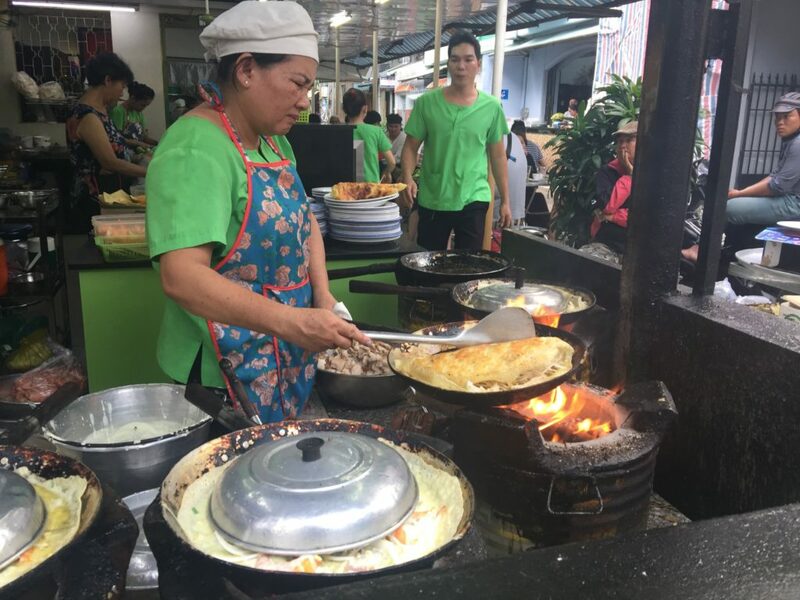 You’ll know you found the right place when you see an old lady frying her way with multiple skillets. 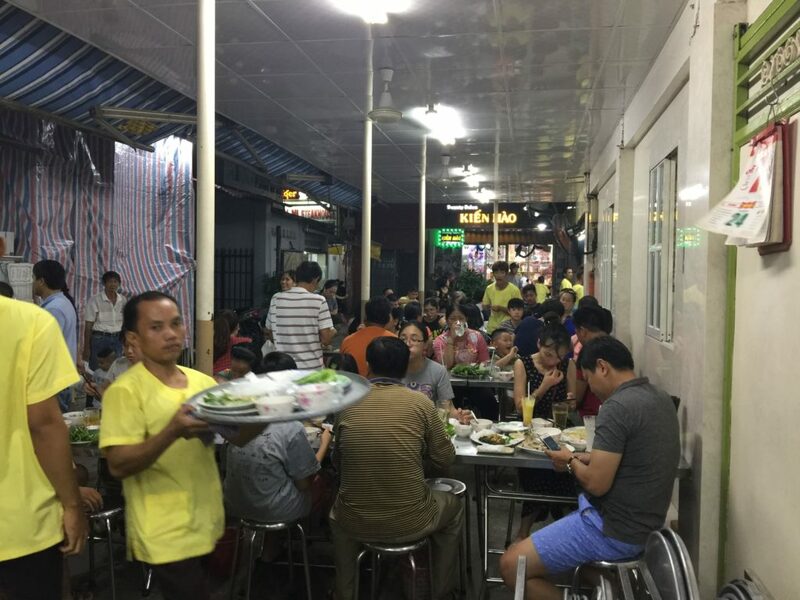 Made famous than none other than the late Anthony Bourdain, Banh Xeo 46a is definitely a place for you to visit. The effects of being featured by a famous chef is obvious when you arrive with a lot of tourists and a large seating area. However, the prices remain inexpensive. 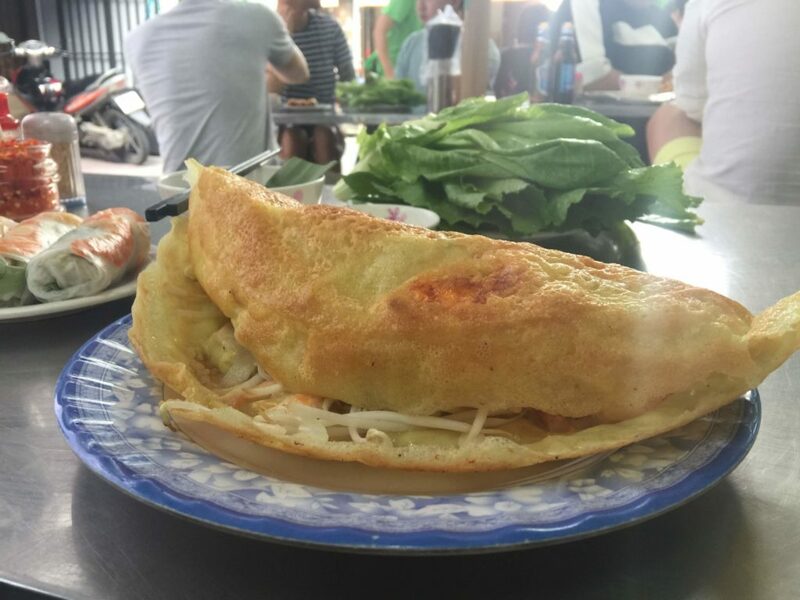 Banh Xeo is obviously the one dish you should be ordering here and it comes in two sizes. I ordered the smaller size, which is more than enough for one person. 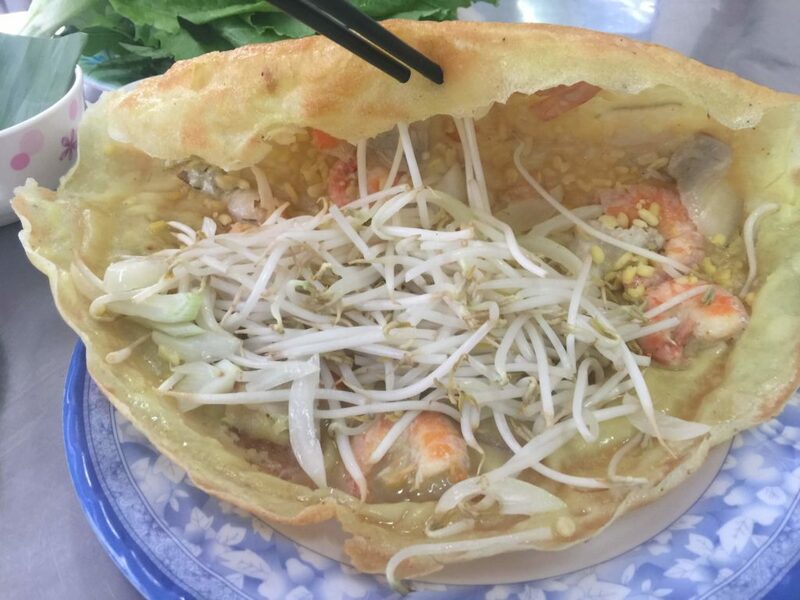 The fillings of the Banh Xeo here are mainly bean sprout with onions, pork, prawns, garlic. How you eat it, is that you take a good balance of the pancake and fillings and wrap it with vegetables (much like Korean BBQ) and eat it whole, if it fits. 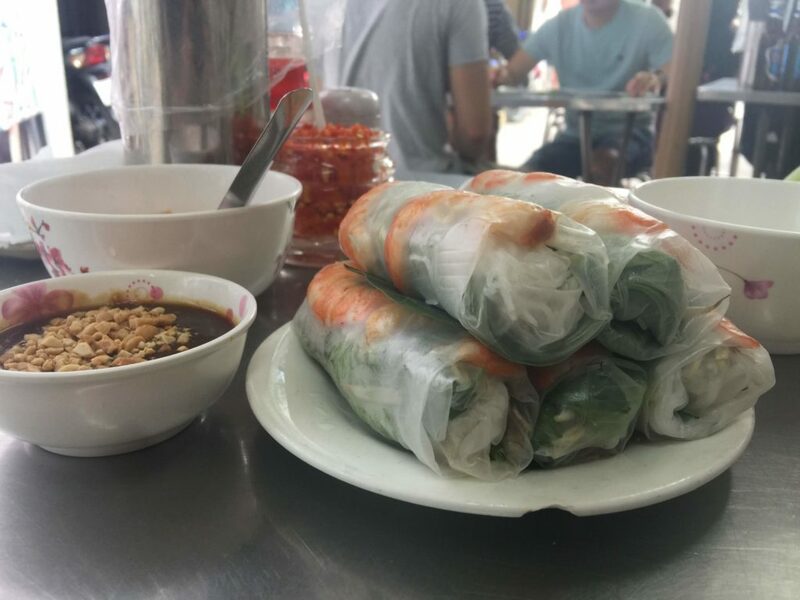 Other notable dishes are their spring rolls and their garlic chicken wings. 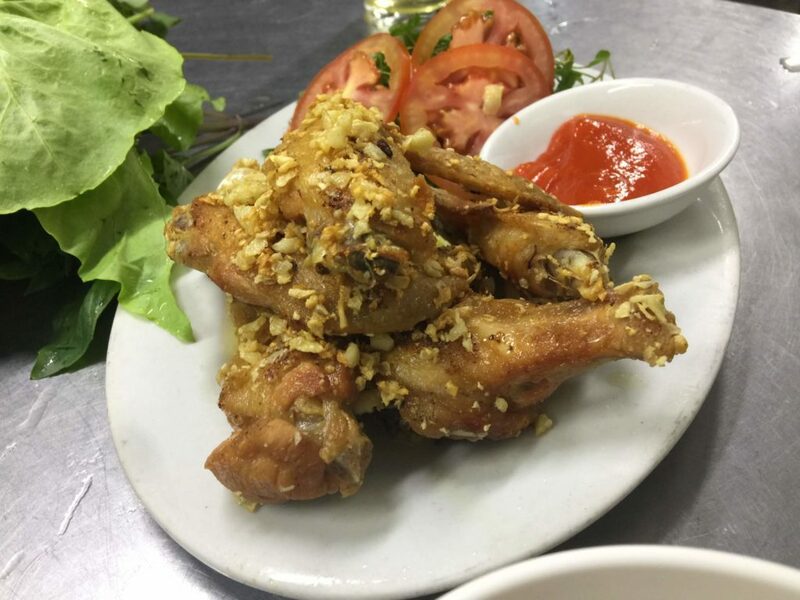 Banh Xeo is their most famous dish, but I like their garlic chicken wings. You should definitely not come on weekend evenings unless you fancy long queues. 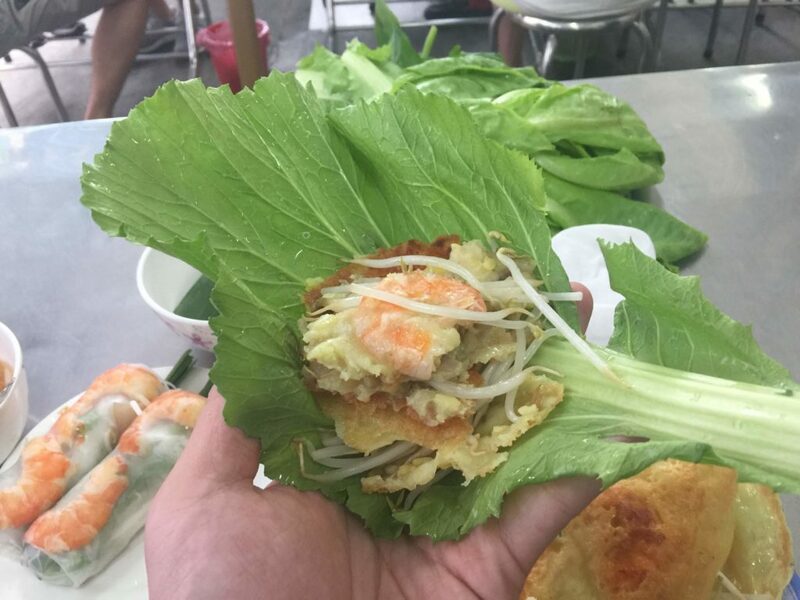 I haven’t eaten enough Banh Xeo to say this is the best, but I am pretty sure this is the most famous.